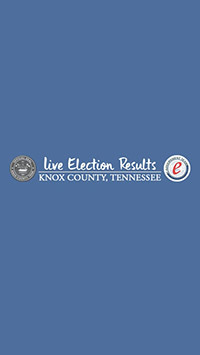 This app provides live unofficial election results for the most recent election in Knox County Tennessee. 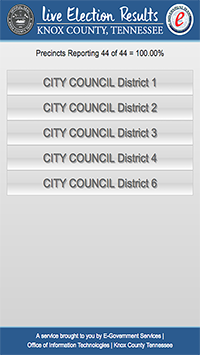 The app works by grabbing our live election results via xml, which is parsed using a php page on knoxcounty.org. The first table view loaded can be refreshed using a pull to refresh. Clicking on a cell leads to the specific results for that race in the election. 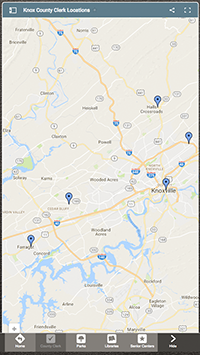 Easily Navigate to Knox County Government's most utilized locations, information, and links to County Clerk offices, Parks, Libraries, and Senior Centers are included. 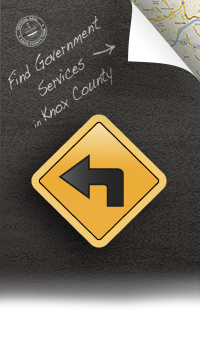 Knox County Government offers this FREE app for iPhone, iPad, and iPod Touch that takes you where you need to go for recreation or Government business in Knox County Tennessee.